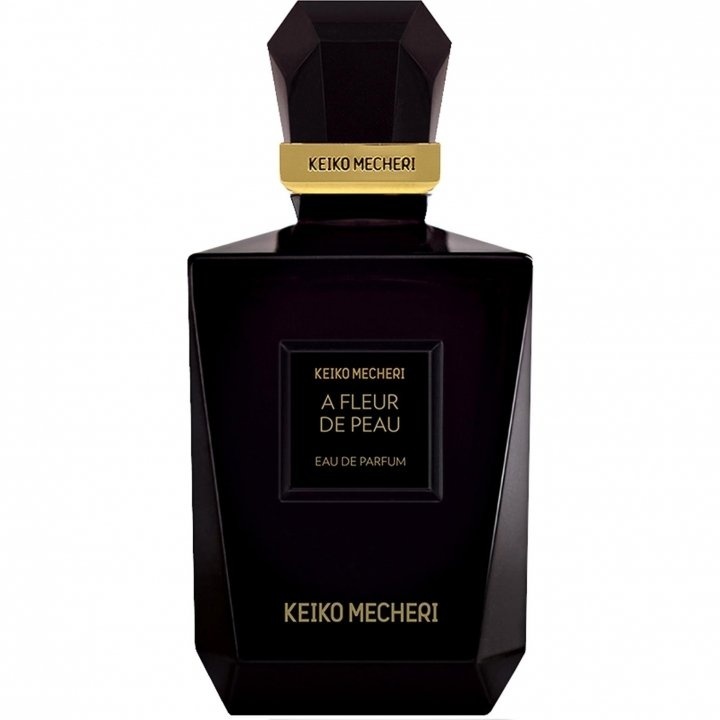 A Fleur de Peau is a perfume by Keiko Mecheri for women and was released in 1999. The scent is leathery-floral. The longevity is above-average. The production was apparently discontinued. I ordered both directly from KEIKO MECHERI website. A incense like powdery Russian Leather scent. seems to me that ..
Edgy Ambergris meets Perfumey Florals: Love is in the air!!!! I am truly baffled at the neglect of Keiko Mecheri A FLEUR DE PEAU. This is a simply gorgeous ambergris floral composition. Perhaps it has been misunderstood as a leather perfume? The edgy ambergris accord is very obvious; the leather less so, but what makes this creation unique is the sweet florality, which actually reminds me initially a bit of Miller Harris COEUR DE FLEUR. The bright, perfumey aspect of that floral perfume is on display in A FLEUR DE PEAU as well, but it is counterbalanced by the ambergris to make a very appealing and daring feminine perfume. I've seen some comments to the effect that Keiko Mecheri perfumes are too staid and restrained. This one is not, and I commend it to the attention of anyone who loves both feminine florals and true ambergris. A FLEUR DE PEAU is going on my wishlist! This is simply gorgeous! Write the first Review for A Fleur de Peau!